Max Factor began his career as an apprentice to a wig maker. By the age of 20, he was running his own makeup shop. Before Max Factor, few women used cosmetics. Factor popularized both the word "makeup" and the use of the cosmetic repertoire. Back in the 1930's and 40's, during the glory days of Hollywood, the world of movie make-up was dominated by Max Factor. Creating false eyelashes, the eyebrow pencil, lip gloss, and pancake makeup, Factor created a whole new language for big screen cosmetics. Jean Harlow, Claudette Colbert, Bette Davis, and virtually all of the major movie actresses were regular customers of the Max Factor beauty salon, located near Hollywood Boulevard. Inevitably, once the actresses had been made to look so stylish on screen, they wanted to maintain the same effect in everyday life, so they wore the new Max Factor ‘makeup’ in personal appearances. Soon, women unconnected with the theatre or the film industry were asking for the makeup, so that they too could look glamorous. 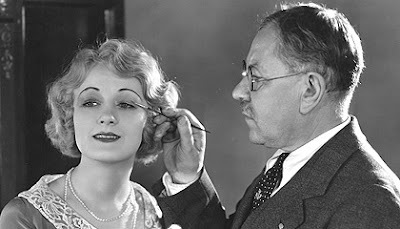 It was in 1927 that Max Factor introduced his first cosmetics to be sold to non-theatrical consumers. Max Factor specialized in transforming ordinary people into dazzling stars. Its glory days were with the golden age of the movie studios, when the stars used to provide product endorsements for as little as a dollar. Their glamour rubbed off on Max Factor, and vice versa. Max Factor developed the celebrity endorsement concept, beginning with Clara Bow in the 1920s. Since then, stars including Rita Hayworth, Lana Turner, Marilyn Monroe, Jean Harlow, Judy Garland, Joan Crawford, Jaclyn Smith and Denise Richards amongst numerous others have all represented the brand. Many of his celebrity clients also appeared in full-color magazine ads to promote his cosmetics. The advertising campaign claimed that every girl could look like a movie star by using Max Factor makeup. 1914: Created the first makeup made specifically for motion pictures, a thinner greasepaint made in 12 shades. It was in cream form and packaged in jars, as opposed to the thicker stick grease paints used for theatre. 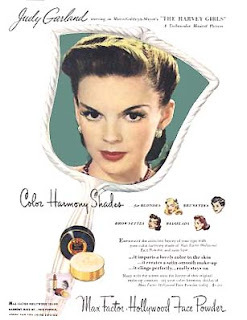 1920: Developed the "Color Harmony" principles of makeup, which held that "certain combinations of a woman's complexion, hair and eye coloring were most effectively complemented by specific makeup shades". 1925: Introduces "Max Factor's Supreme Nail Polish", a metal pot of beige-colored powder that is sprinkled on the nails and buffed with a chamois buffer. It gives nails shine and some tint. 1927: Creates "Society Nail Tint", a small porcelain pot containing rose colored cream. Applied to the nail and buffed, it gives a natural rose color. "Society Nail White" also hits the market. It is a tube of chalky white liquid that is applied under nail tips and left to dry. The end result resembles the modern French manicure. 1928: Developed makeup, made specifically for use in black-and-white films. Max Sr. was awarded an Oscar for this innovation. 1932: Developed a line of "Television Makeup", specifically to meet the needs of television. 1934: Introduces Liquid Nail Enamel, forerunner of today's nail enamels. 1935: Opened the unique Max Factor Makeup Salon in Los Angeles. 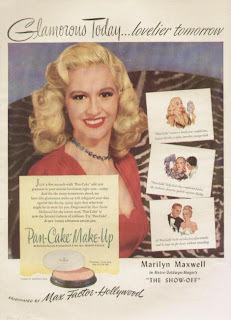 1937: Created PanCake, forerunner of modern cake makeup, originally developed for color films. 1938: Max Factor died at age 59. Max Factor Jr. expands the family run business internationally. 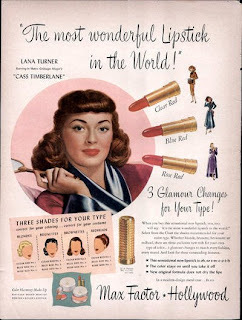 1940: Created Tru Color Lipstick, the first smear-proof lipstick. 1971: Invented the first "waterproof" makeup. i can't believe that max factor are going to close.They were so awesome. What a great source of information you have here, I appreciate it and because of Glamoursplash Old Hollywood, Max Factor, will live on.